From barbecued starfish to a broth so aromatic it makes Buddhists break their vows, the regional dishes of China are among the most diverse in the world – and all but unheard of in the West. 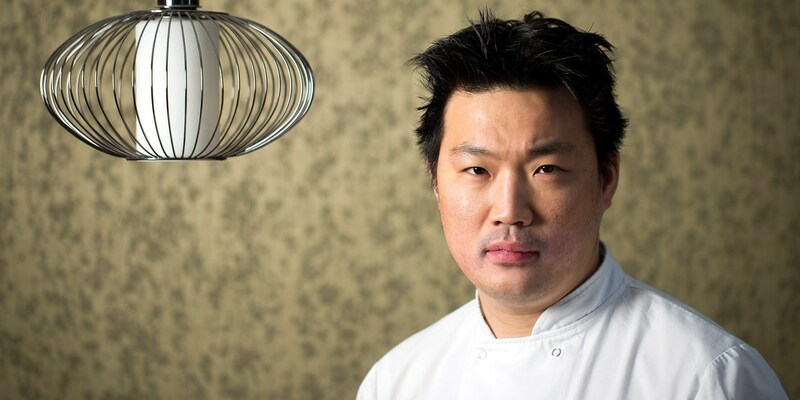 Tom Shingler talks to chef Andrew Wong to learn more about the incredibly diverse cuisine and how he’s helped to bring its flavours to the UK. Nowadays, it’s fairly common knowledge that the food we’re served in an average Chinese restaurant is pretty far removed from what’s eaten in China. While many of us (myself included) are partial to some sweet and sour chicken balls or a bowl of luminous-red crispy chilli beef, it’s clear that they’re a very Anglicised interpretation of the real thing. 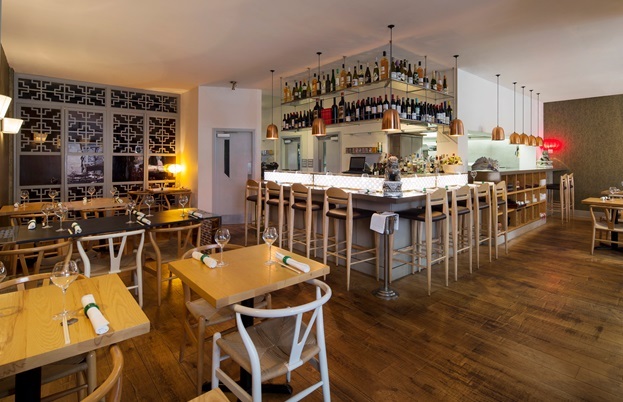 However, there’s one chef in Pimlico, London that’s offering a taste of the real China, drawing inspiration from parts of the country rarely even heard of in Britain. 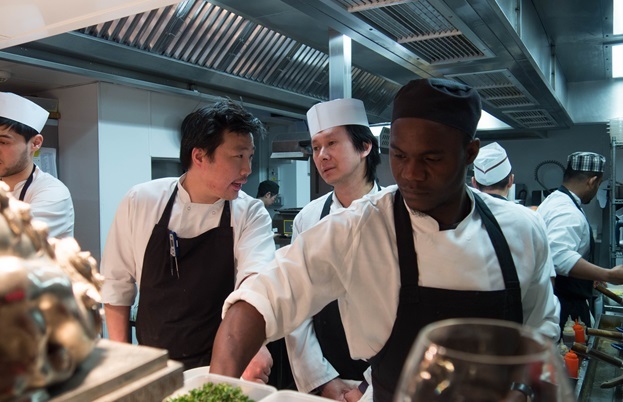 So why has it taken until now for there to be somewhere British diners can experience specific, regional dishes from China? ‘The Communist regime only opened up to the West recently; until a few years ago, only Chinese people from Hong Kong could get a visa to leave the country,’ says Andrew. 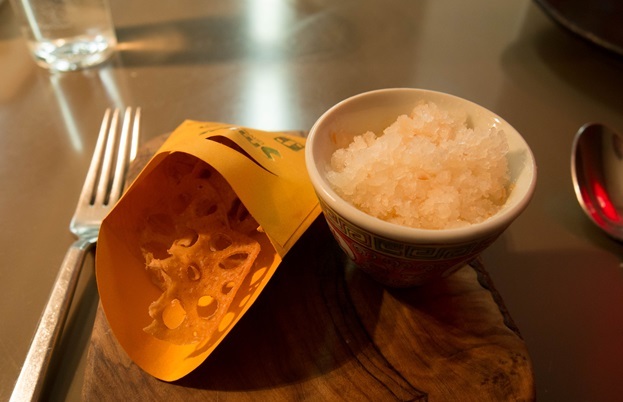 ‘They would naturally cook the food they were familiar with, which was Cantonese. 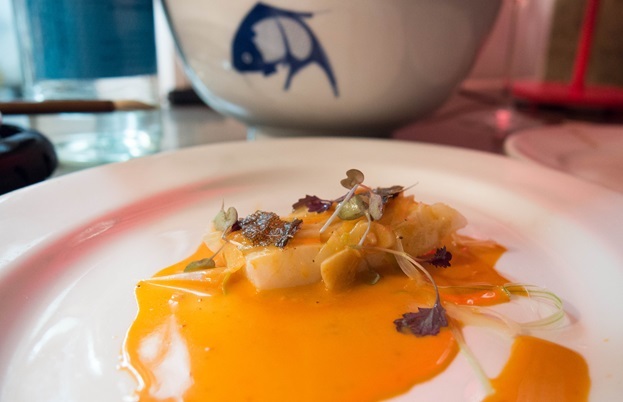 The recent influx of proper Sichuanese restaurants just wasn’t possible until around until five or six years ago, and it’s only now that food from the other regions is making its way into London. 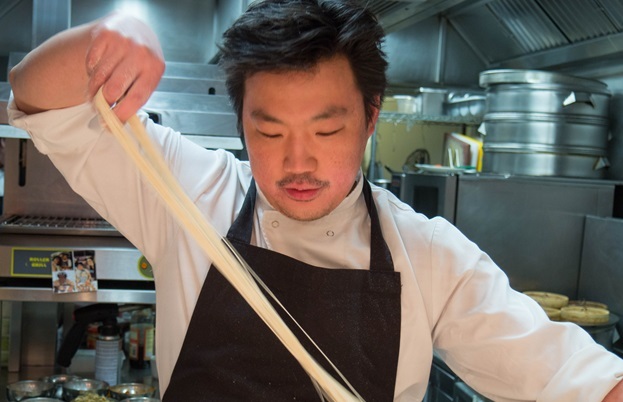 Andrew is the first to run a restaurant that offers a wide spectrum of dishes from across China in the UK, and is working as hard as he can to boost awareness of the country’s diverse dishes. 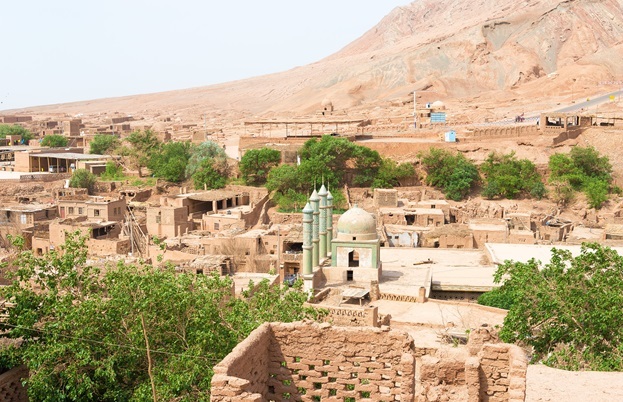 It’s not until you’ve tasted his Xinjiang lamb burger, Anhui-style fermented fish belly and Sichuanese aubergines that you realise there’s a whole new world of flavours to explore – most of which haven’t existed outside of China until now. ‘Traditionally, there were eight different styles of cooking in China which related to eight different areas of the country,’ explains Andrew. ‘But you’re talking about a map that was drawn up a very long time ago. Nowadays there are many more provinces, so these styles represent areas which are much more fragmented today.’ Here, Andrew shares his knowledge on the iconic techniques, ingredients and dishes of each traditional style, but as you’ll see, even after spending six months travelling the country, he still hasn’t been able to experience all of them – a testament to just how rich and diverse China’s regional cuisine can be. The most common type of Chinese food found outside China. 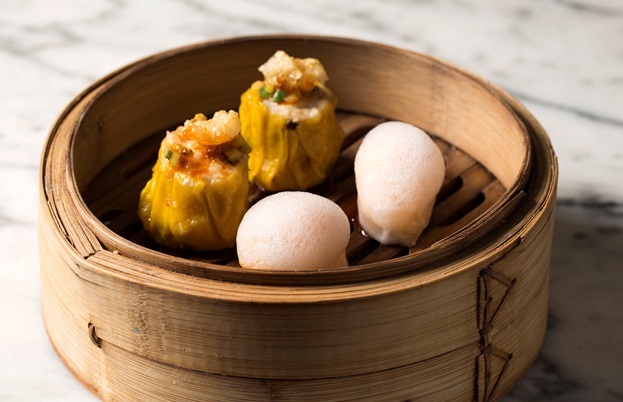 Cantonese food includes dim sum – a cuisine in itself – and inspired many of the Anglo-Chinese dishes found on takeaway menus throughout the UK. 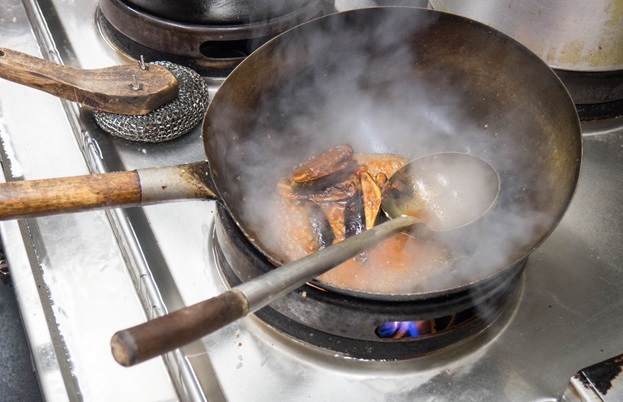 If you ask a Sichuanese chef what they think of Cantonese cooking, they’ll tell you it’s very mildly seasoned, and if they were cooking for a Cantonese guest they’d probably use less spices in their food. Famous for its peppercorns, Sichuan is the second most well-known cuisine outside of China. It is spicy and bold, with lots of garlic and chilli. ‘Until relatively recently it was illegal to import Sichuan peppercorns into the UK, and it only became legal in America seven years ago. Apparently people were worried that it was a danger to the horticultural system, and the plants could take over the countryside. Obviously, you can’t open a Sichuanese restaurant without Sichuan peppercorns, so they’re a relatively new thing in the West. ‘The peppercorns are integral to the cuisine but not on their own – what really makes Sichuanese food unique is something called mala, which is a combination of the pepper with chilli. If you bite into a Sichuan peppercorn on its own it will taste like metal, but if you eat it with chilli it creates this sort of numbing sensation, which is what Sichuanese food is famous for. When I was in Sichuan the main thing I noticed was that all their dishes are coated in this very thin glossy red oil, but when you’re eating them they’re not greasy at all. To this day I’m still not entirely sure how that’s possible – it’s very strange and gives the food an almost refreshing taste. 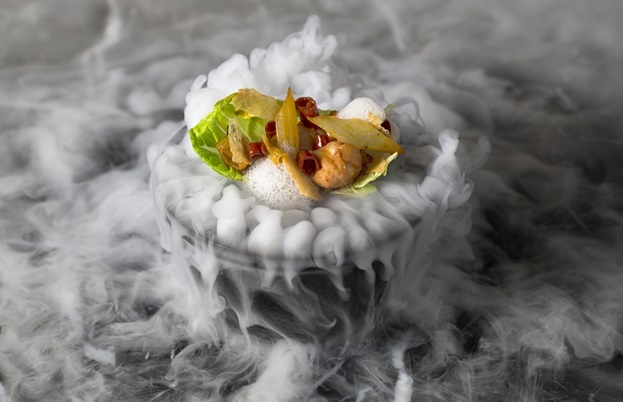 Similar to Sichuanese, but more focused on chillies than peppercorns, Hunanese food tends to include more smoked and cured ingredients and is generally oilier. The Fujianese also use quite a lot of potato starch as a way to introduce carbs into their diet – they will form little gnocchi-like dumplings out of it and add them to soups and broths. 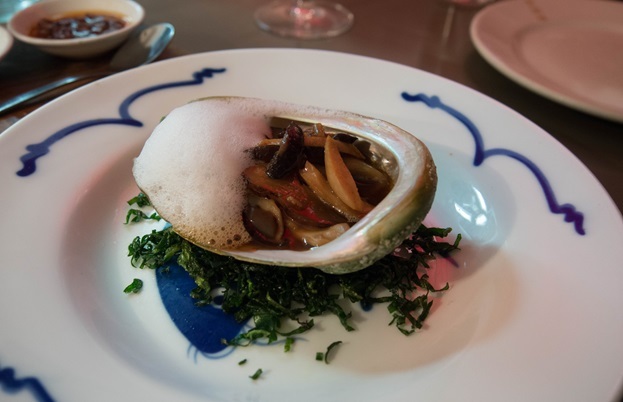 On the east coast of China, Fujian is famous for its shellfish with lots of light dishes and umami-heavy flavours. ‘The most important thing to remember about Fujian is where it is geographically – on the east coast and north of Hong Kong. There are loads of different types of fish balls, various types of clams, lots of stir fries and again their seasoning isn’t particularly strong. They don’t particularly like heavy spice, and will use more soy than chilli in their food. Lots of fish are steamed or braised, with perhaps a little dip of soy vinegar on the side. The Fujianese also use quite a lot of potato starch as a way to introduce carbs into their diet – they will form little gnocchi-like dumplings out of it and add them to soups and broths. South of Shanghai, Zheijang food is typically fresh, soft and mellow. This coastal province of China, just north of Beijing, is home to steamed buns and pure, simple dishes. Located in the east of China, Anhui cuisine relies a lot less on frying and stir-frying dishes than other styles. There are plenty of fermented, preserved flavours. 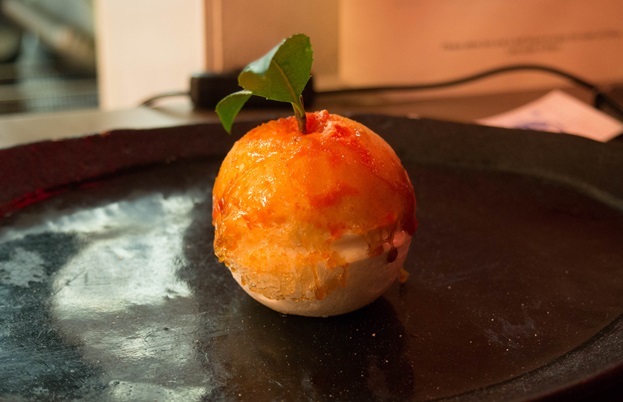 ‘Anhui is home to a really strange cuisine. They eat a lot of dishes made with turtle, and there are lots of fermented flavours which I didn’t see anywhere else in China. It was also the only place where I saw candying as a form of preservation – sugar was used to preserve fruits and nuts, which was quite unusual. There’s a lot of seafood which is salted and aged, and they use land snails in their cuisine, too, which is very special to the area. On the eastern border of Anhui lies Jiangsu, a small but prosperous province of China. The food here tends to be similar to that of Anhui, based around fish and shellfish and is often presented in a colourful, attractive way. ‘I’m afraid I haven’t got a clue about Jiangsu cuisine; I haven’t had time to research it and I’ve never been there,’ Andrew concludes. 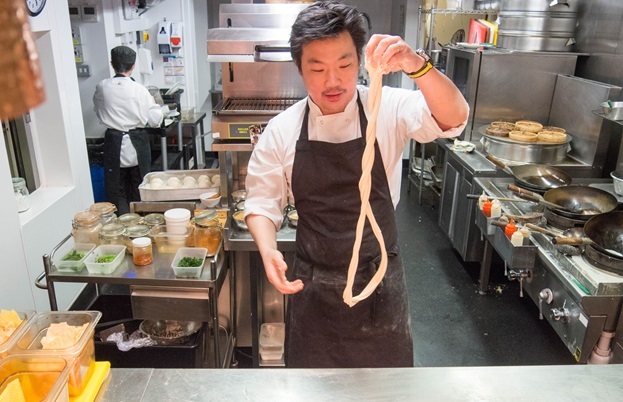 It just goes to show that even a head chef who’s made it his mission to explore regional Chinese food still has a lot to discover. 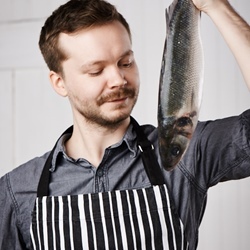 But for now, Andrew is one of the leading experts in the country’s regional food; luckily for us, he’s also able to cook the dishes he knows so much about with finesse – something which will get people talking about it far more than any book ever could.